← A New Year for Penn Alumni Families! While we are hopeful for the year and are committing to affirm our resolutions, I wanted to share with you my top Penn list of the Penn events I’m looking forward to in 2013. Our founder, Benjamin Franklin, is celebrating his 307th birthday this year on January 17. In his honor, many of our Penn Alumni Regional Clubs will be hosting get-togethers during the month of January all throughout the world. Visit the Regional Club’s Ben’s Birthday Bash page to join Penn alumni in a city near you for this year’s festivities! Each year, thousands of Penn alumni volunteers interact with tens of thousands of prospective Penn students around the world. This volunteers interviewers help high school students learn more about Penn, and they help the Admissions Office learn more about applicants to the university. As the Interview Program moves forward with the goal of being able to offer an interview to every student who applies as a prospective undergraduate, the Interview Program team will be traveling out to our alumni to help provide training and the information our alumni interviewers will need to help Penn see its goal come true. More information will be available on the Penn Alumni Interview Program page. In 2010, Penn Spectrum was the University’s first-ever weekend-long alumni conference devoted entirely to celebrating diversity. After three years of taking the event on the road, Penn Spectrum returns to campus, capping the momentum of our diverse alumni. All alumni are welcome. More information will be available on the Penn Spectrum page. Alumni Weekend is one of Penn’s two hallmark weekends which invite all alumni back to their intellectual home away from home. This year, our alumni classes – ending is threes and eights – will return for their quinquennial reunions as campus opens up its doors for all alumni to celebrate, engage and reminisce. In 2009, Penn Nursing, The Trustee’s Council of Penn Women and Penn Alumni jointly launched a series of global Healthy Cities: Healthy Women events focused on women’s health in urban areas and the pivotal role that women play in developing and sustaining healthy lives, families and communities around the world. Other Healthy Cities: Healthy Women events in Miami, Philadelphia, New York and Los Angeles have brought together local, national and international experts coupled with leading faculty from a variety of the University of Pennsylvania’s schools and centers to focus on challenges and multi-disciplinary solutions related to urban women’s health. This year Nursing’s flagship event will be traveling to Washington, DC and London, UK. 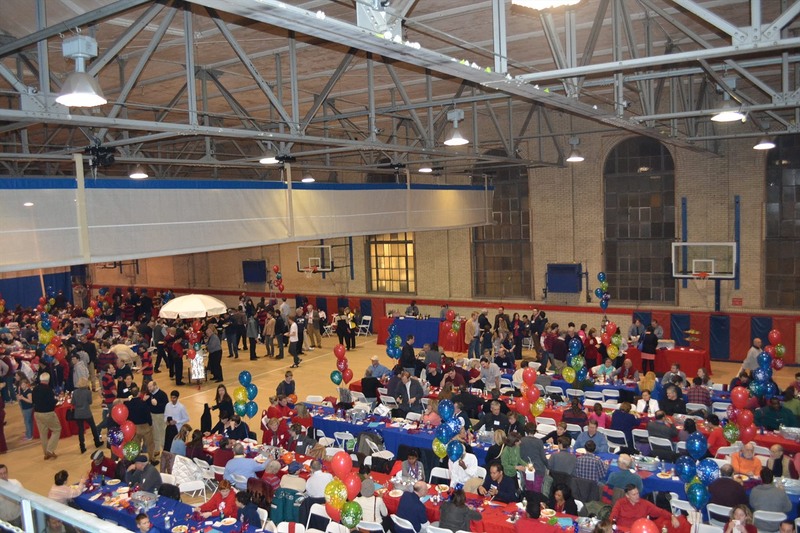 Our Penn Alumni volunteers work hard year round, so once each year we throw them a party! This year’s Volunteer Appreciation Event will be held in Houston Hall. All 10,000+ Penn volunteers—including Penn parents and friends—are invited to Dr. Gutmann will attend as well to thank those present for sharing their time and talents. The reception is followed by the Penn vs. Harvard basketball game. Homecoming is Penn’s other hallmark weekend. The enthusiasm of watching our Quakers take on the Tigers of Princeton spreads throughout campus as alumni return and join students in a festive weekend in West Philadelphia. Now toted as Homecoming featuring Arts and Culture as Penn, this event highlights many of the rich talents of our fellow Pennsylvanians, from their athletic prowess, their craft in film and their detail in art for all alumni to reveal in. Following a tradition that reaches back to 1916, Penn juniors celebrated Hey Day by donning red shirts, strutting along Locust Walk carrying canes and biting into straw hats. A celebration that is unique to Penn, Hey Day marks the “moving up” of juniors to the senior class. This year’s event began with a class picnic, followed by the boisterous class procession. In the meantime, the soon-to-be-graduating class celebrates the arrival of the juniors on College Green at the Final Toast. This event, sponsored by the Penn Traditions program, brings together the senior class to welcome juniors into the alumni community with great food, live music, and a toast as the class of 2013 “moves up” into their senior year on Hey Day. The University of Pennsylvania’s 257th Commencement will be held on Monday, May 13, 2013 in Franklin Field, located at 33rd and South Streets. That morning the Class of 2013 will parade into our revered football stadium and will exit as the newest members of the Penn Alumni Network after Dr. Gutmann has “freely granted all rights, honors and privileges pertaining” their degrees to our most recent alumni. Updated information will be provided during the year, on the Office of the University Secretary’s Commencement page, including information on the ceremony, travel and lodging, students and faculty/administration for Commencement 2013, as well as historical information on Penn’s previous commencement ceremonies. The Making History Campaign ended December 31, 2012. While we don’t have final numbers yet, we are looking forward to share the outcome with the Penn community with our Campaign Celebrations. 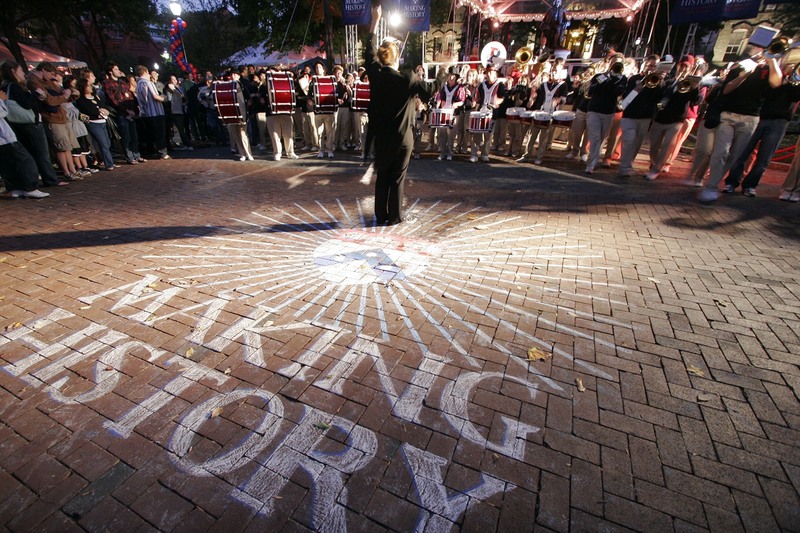 As you know, Penn makes history by shaping the future. We started with the revolutionary ideas, passionate people, and practical pursuits that have always defined Penn and added our 18 amazing schools and centers on one compact campus, a university-wide culture of collaboration, and a genuine desire to do good, and the result is a university singularly prepared to bring new vision and fresh solutions to the most important issues of our day. The University will be kicking off the Campaign Celebrations in Philadelphia in April and around the world for the next year and half. We look forward to seeing you at one of our parties soon.